Nearly every home has a rug. Why? They look great and complement most decors. A rug softens noise in the home and cushions our feet when we sit around watching our favourite TV program. That is why it is important to get your rug professionally cleaned by technicians with Cleantrust certification and training. Maintenance is beneficial for your rug’s life and appearance. 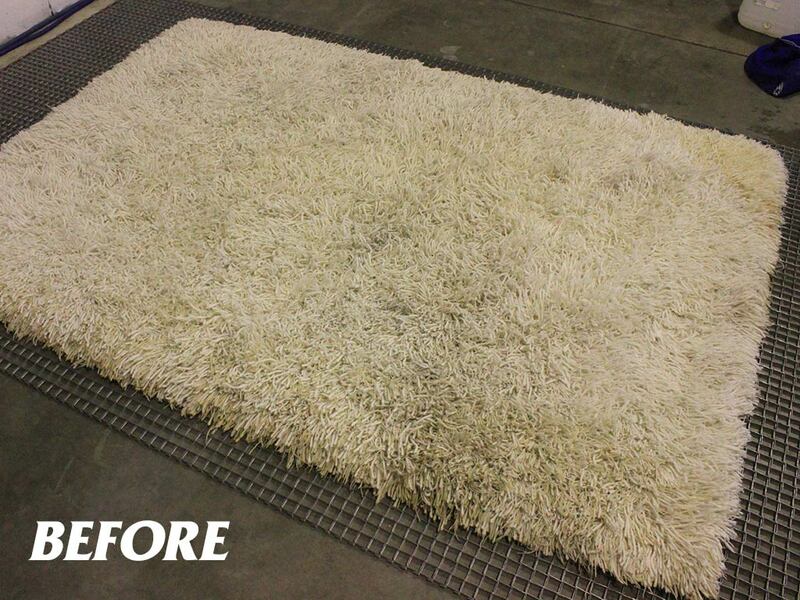 Professional cleaning can bring your rug back to new life! At Mackay Carpet Care and Restoration Services we offer various cleaning and pricing options for your rug. A pickup and delivery service is also available. We offer a discount to customers who choose to handle the transport themselves. Those who require pickup and delivery can be assured that their asset will be handled with the correct care and attention that is required. Did you know that Mackay Carpet Care and Restoration Services has Mackay’s only Cleantrust-certified rug cleaning technician? Cleantrust certification is a program of the Institute of Inspection, Cleaning & Restoration Certification (IICRC), the certification registry and standard-setting organisation for the inspection, cleaning and restoration industry. Cleantrust-certified technicians have the knowledge and skills to take care of any rug or carpet problem. We have the resources and knowledge to clean any rug that enters our facility. Thanks to our global connections, we can also contact rug specialists in other parts of the world to discuss any issues or questions you may have. Some may call that ‘a far reach’. We call that ‘We Care’ with attitude! Why Is It Better to Clean My Rug At Your Shop? Our process starts when your rug is picked up from your home or when you drop it in to our facility. The rug is inspected for faults and photographed. It is tagged for identification and evaluated to determine if your rug will suffer from colour-run or further damage from the cleaning process. Each rug is cleaned to the rug condition, meaning that all rugs are not the same and require different cleaning procedures. We offer 3 cleaning options, from economy 24-hour-turnaround clean to our deluxe Rug Spa pamper package. See the Rug Cleaning Options page or contact one of our friendly staff to discuss your preferred package. 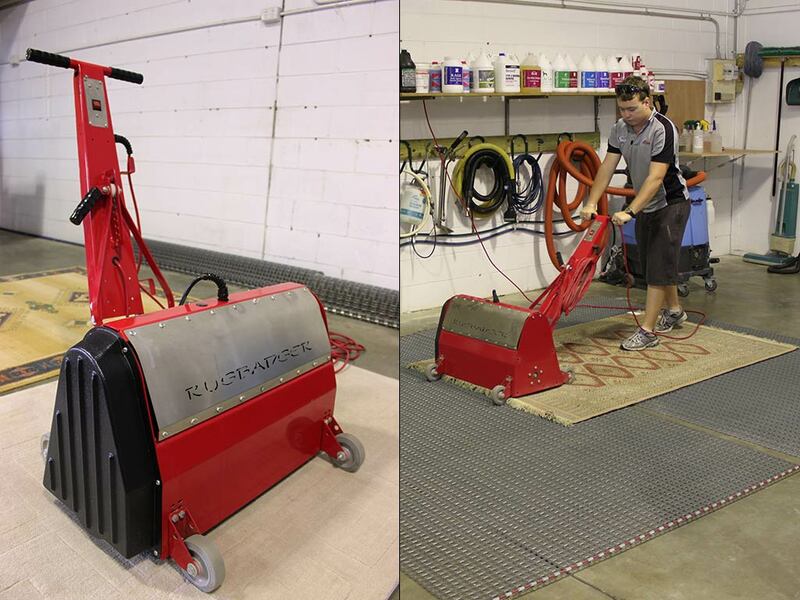 We use the revolutionary, world-renowned RugBadger at our facility. 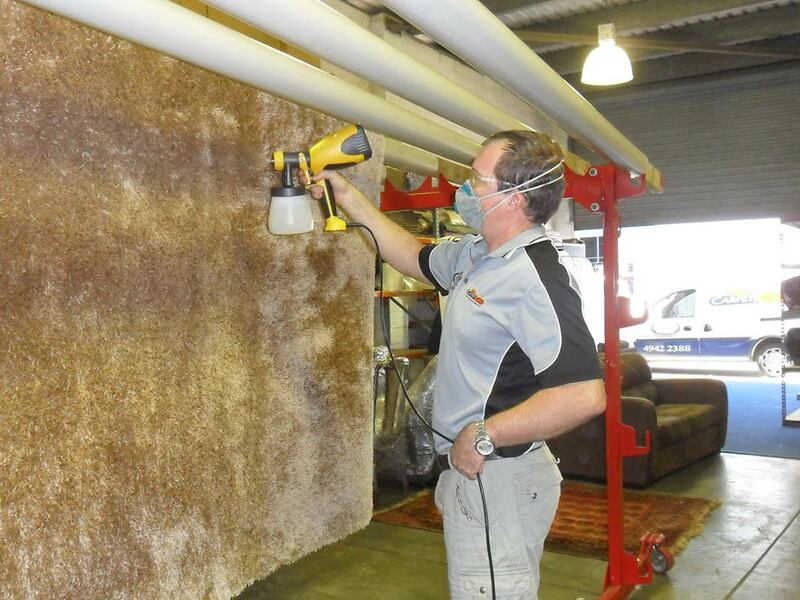 The RugBadger is used all over the world in some of largest rug cleaning facilities, and we have it here in Mackay! Using the power of 40 000 harmonic vibrations per minute, the RugBadger completely separates heavy sediments and dirt from any area rug. With dry soil and harmful elements removed first, the cleaning process becomes much more effective, resulting in brighter and cleaner rugs than ever before. The rug can then be bathed in what we like to call the Rug Spa. Washing your rug right through will release sediments and odours that have been there for years. Once washed, the rug is rinsed and hung on our RugBadger EZ tower to dry and to allow further inspection. Did You Know That We Offer Rug Protection? 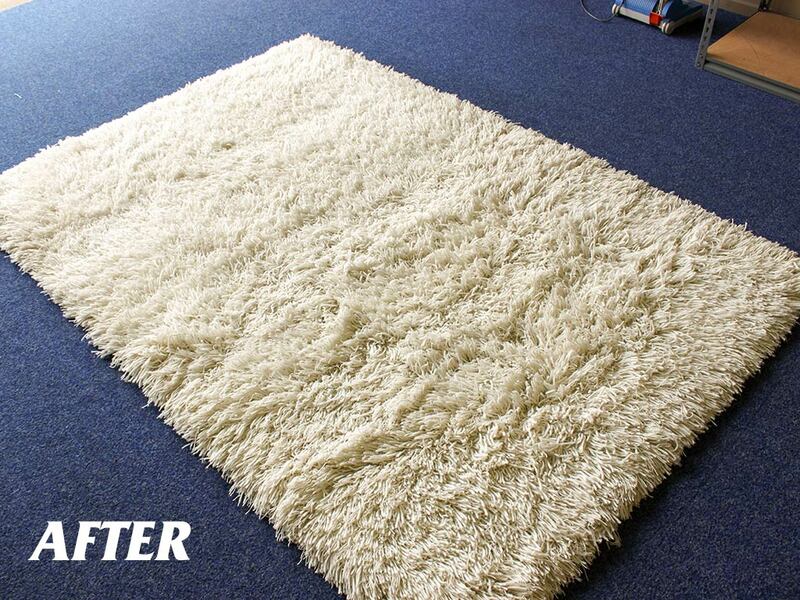 Protection is vital for the long-term health and appearance of your rug. At our facility we offer a Teflon Barrier protection against future staining. Our Rug Cleaning Questions page provides answers to frequently-asked questions about the rug cleaning services provided by Mackay Carpet Care and Restoration Services. We stand by our quality of our work and standards. We offer full satisfaction! If you are not happy with the results of the cleaning of your rug, then we will repeat the process until you are happy. This comes at no further cost to you. 100% satisfaction is our guarantee! It is as simple as that.